Welcome to Illawarra Business in Heel. 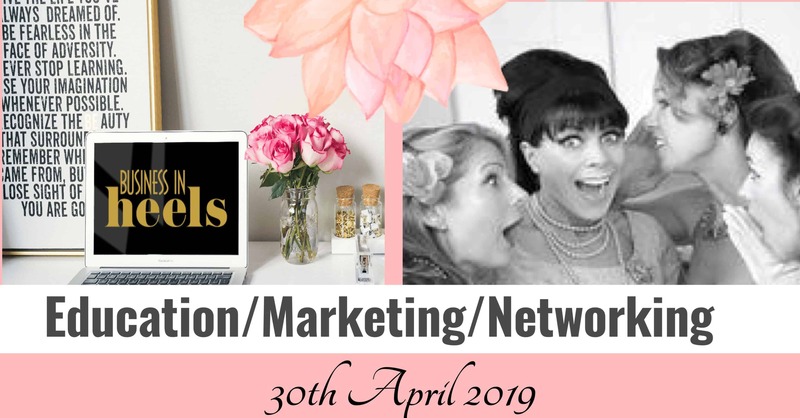 Join us for our next event, on the 30th April and learn how Business in Heels can assist you in growing your business in 2019. Business in Heels is more than just networking, there is a new website, many different membership levels, the opportunity to promote your business to a global audience, so all together with the level of marketing, including the education, whatever your budget, Business in Heels has a solutions for you. Kathy Heycox, Branch Director for Illawarra will be the facilitator for this event. This is a great opportunity to come along and see how the Business in Heels community can support you in your business and career goals. Whether you are currently running your own business, or dreaming of taking the plunge, or wanting to get the most out of your career, join Kathy for a educational event where you can ask your burning questions. • Introduce yourself and your business to all present. • Book in Coffee Dates with other attendees. These will change the way you think about your business. If you are not sure about your intro or if this is your first event then drop us a line and let’s have a chat. We are so looking forward to seeing you. Purchase your tickets before the 23rd April and receive an Early Bird Price. Just click on the link and you will be directed to the website.